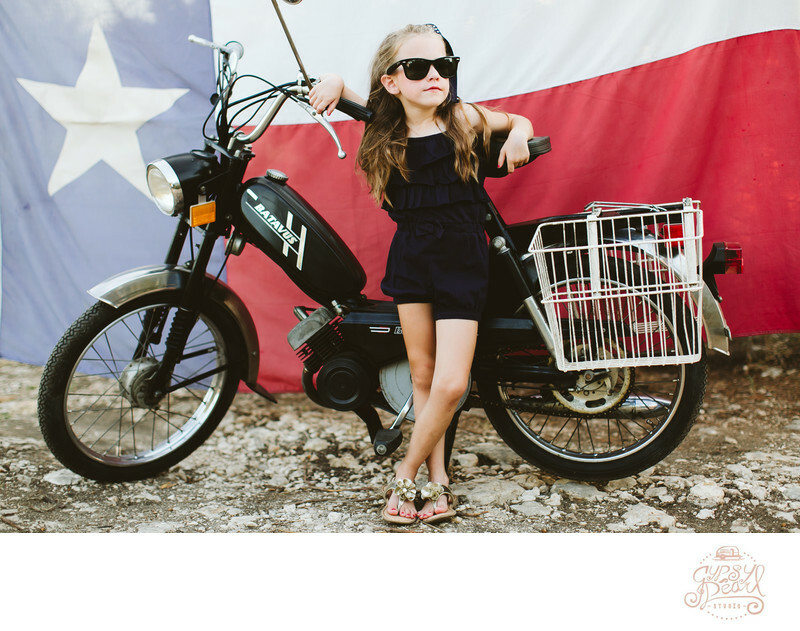 A vintage Texas flag and an old scooter gave this photosession just what it needed. Ryan, brought the rest. From her cool Ray Ban Shades down to her calm, cool personality, this little girl brought so much style to this session.